If you're a Public Authority, University, College, Independent School or Academy Sponsor, managing an Infant, Junior, Primary or All Through School, planning for change, take a moment to browse through some of the case studies to see how we may be able to help. The studies cover a wide range of projects from new build and expansion to revitalising existing. If you are considering such a scheme, Contact Us on the link above for a Free Initial Consultation to start the ball rolling. Proposals for a new Two Form Entry Primary School Design at Winchester. Infrastructure improvements proposed School expansion at Hounsdown. Proposals for a school playground to compensate for the loss of a play court. Secondary school landscape design for Mill Chase Academy. An ESFA secondary school design for North Whiteley Major Development Area. Award winning design for an outdoor classroom at Old Basing Infant School. 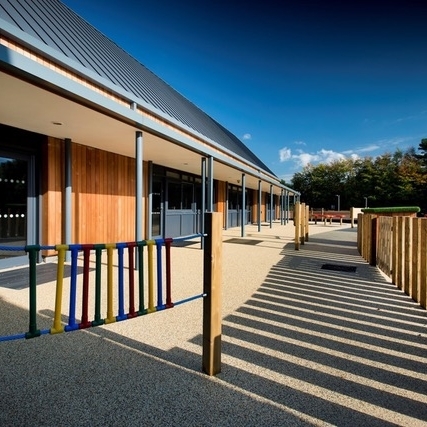 Three class school expansion in East Hampshire. Proposals for a special school design at Portesbery catering for children and young people with Severe Learning Difficulties (SLD). A revitalised university courtyard for University of East London. Proposals for infrastructure improvements at the University of Southampton. Children’s play and outdoor learning area.